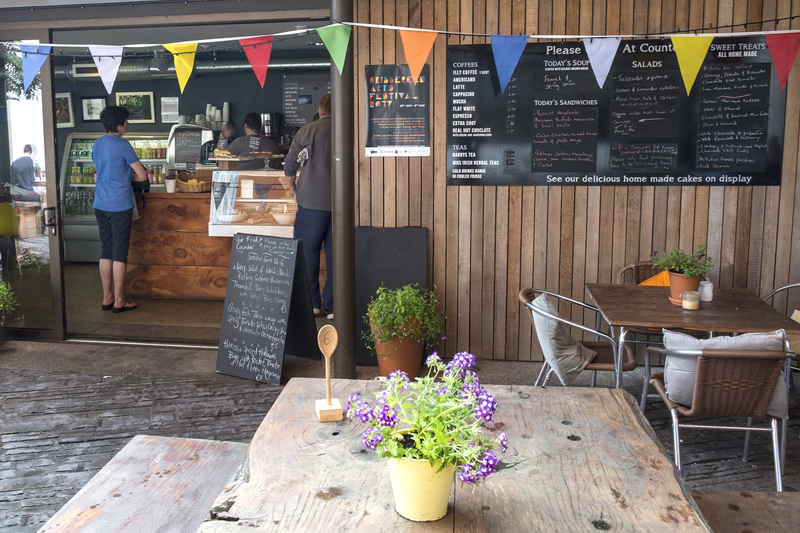 The Coffee Shop at Uillinn serves delicious homemade cakes, The Golden Bean Coffee, loose leaf teas, soups, salads, toasties and tarts from the courtyard kitchen. It's a great place to stop for a coffee and cake while browsing our galleries, to pop in while you wait for your children to finish a class at Uillinn. Or just to while away and hour or two in the courtyard. See their Facebook page for more information. The Coffee Shop serves their famous stonebaked spelt flour pizzas, wine, cake and coffee every Friday and Saturday evening until 8.30pm. *Booking advisable for evening tables. (Phone: (083) 308 6569 during business hours). 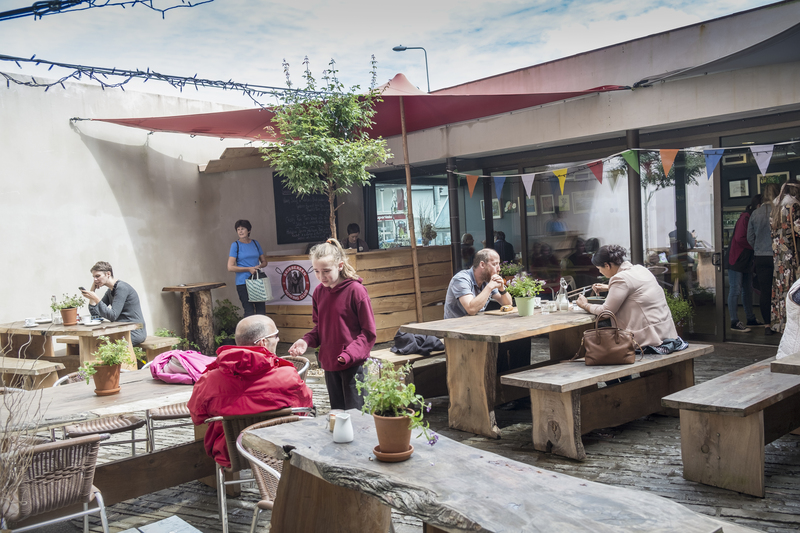 The Southern Star wrote 'Union Hall’s loss is Skibbereen’s gain as Jessie Kennedy and her husband Billy O'Flaherty have relocated their popular café'. Read more here. The Coffee Shop at Uillinn, Photos by Kevin O'Farrell Photographer, Image courtesy of Uillinn: West Cork Arts Centre.